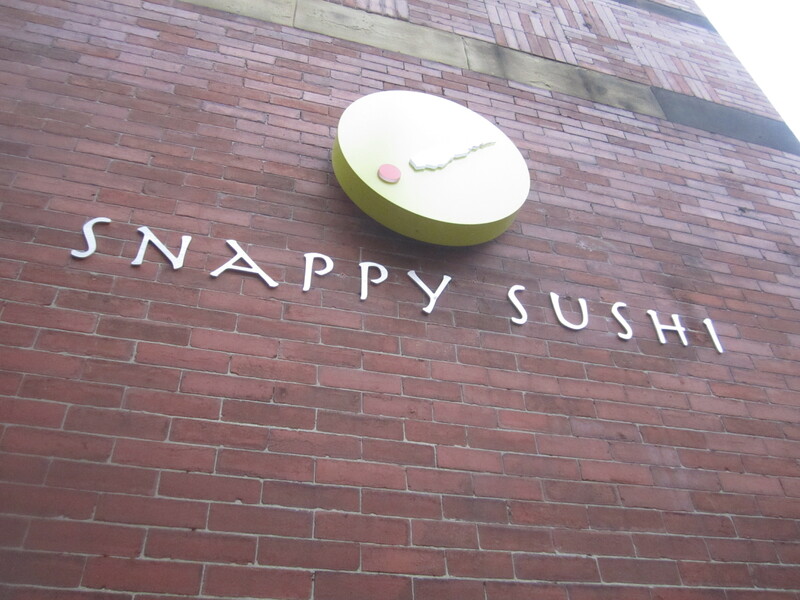 Snappy Sushi serves fast and chap brown rice sushi rolls and I used to frequent the original location when it was next to Madura. Although Snappy is in a new location, I miss the more quaint, small location and orange counters. 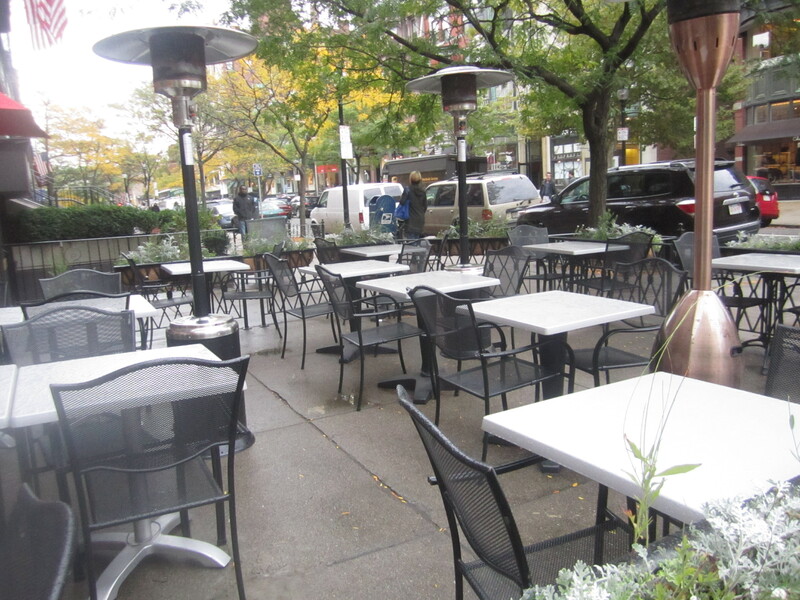 The new location has ourdoor seating, communal tables, two floors and occupies the former location of Tealuxe at Newbury and Clarendon Street. It definitely has a clean, sleek interior. My friend ordered the Tuna Gone Wild Roll for $10.95, torched white tuna, avocado, cucumber, green leaf, ginger, and wild sesame with yuzu-miso sauce and black flying fish roe. It was evident to me she loves this roll, because she gobbled it up. I had the Lunch Roll special for $10.95 the Spicy Tuna Roll with tuna and cucumber and Spicy Yellowtail Roll. 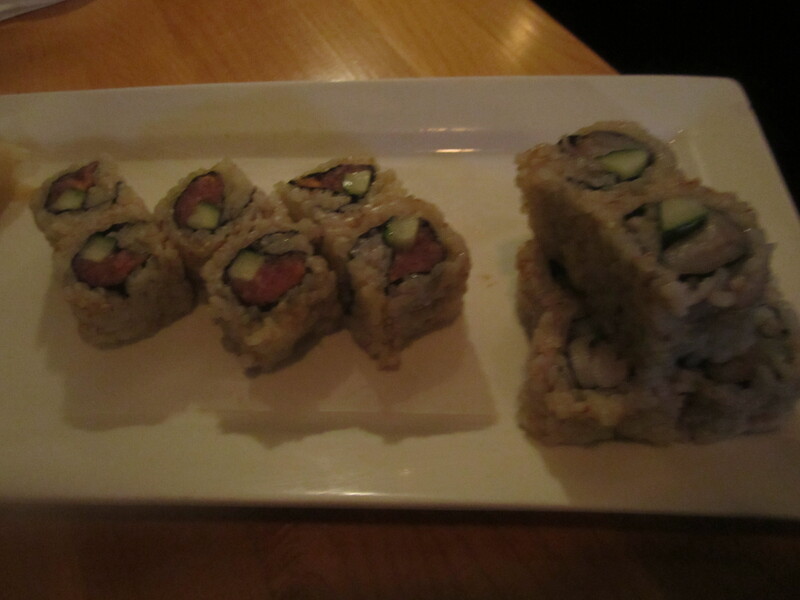 I like the texture and chewiness of brown sushi. They fish was fresh and had spicy mayo (but the center did not have crunchy tempura flakes). 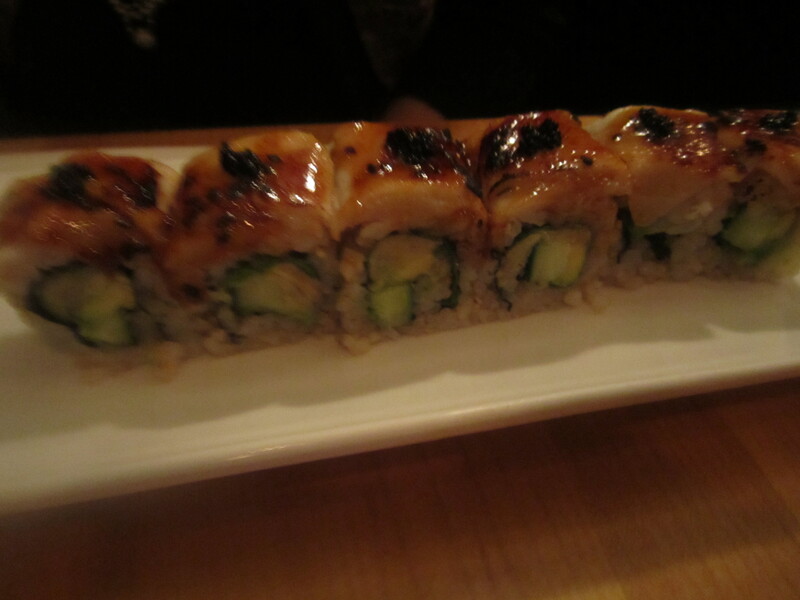 Snappy is great for a quick brown rice sushi fix at a good price.